Make your own book covers! 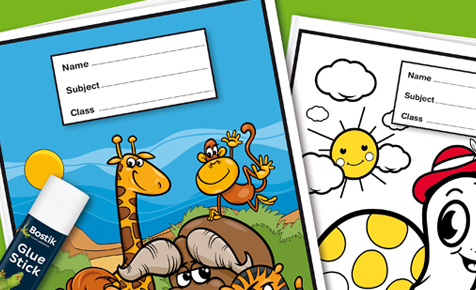 Print out the templates below, colour them in using any of Bostik's colouring in products and paste it onto your books using a Bostik Glue Stick. Protect your design by covering it with plastic and you'll have the coolest books in school for the rest of the year.